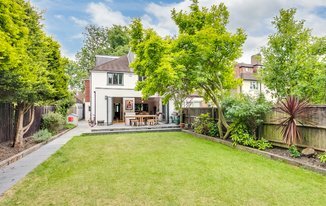 This absolutely stunning five-bedroom house is generously arranged over three floors and boasts exceptional living and entertaining space throughout including a contemporary open-plan kitchen a private driveway and beautiful private garden. Set on a quiet residential road, this property has been comprehensively refurbished throughout offering an exceptional contemporary open plan living style with a high-quality finish. On the ground floor there is a large open plan kitchen/dining and living space with bi-folding doors opening out on to the stunning patio and landscaped garden. 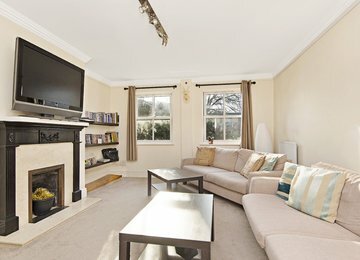 There is a further beautifully decorated living room, playroom and downstairs WC. There are five generously sized double bedrooms, all beautifully decorated, an en-suite bathroom to the master bedroom and one further family bathroom, which have all been tastefully designed. This property is flexible with furniture and has a private driveway for at least two cars. This immaculate house is set on a quiet residential road, just moments from Tooting Bec Common and within easy reach of the restaurants and shops of Balham High Road. This area is very popular with families due to the vast number of excellent schools within close proximity to the property. This property is located within close proximity of both Balham & Clapham and nearby excellent transport links at Balham (Northern Line and Overground) and Streatham Hill (National Rail).